Richard Race, Senior Lecturer in Education, University of Roehampton. Nigel Fancourt, Associate Professor, University of Oxford. 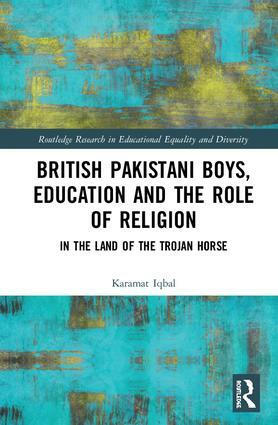 Dr Shamim Miah, Senior Lecturer, University of Huddersfield, author of Muslim Schooling and Question of Self-Segregation and more recently, Muslims, Schooling and Security: Trojan Horse, Prevent and Racial Politics. It’s a sad day. Javed Iqbal has left us, hopefully to go to a better place, without pain and sickness. I have fond memories of Javed. I met him only twice. The second occasion was when he interviewed me at The Drum, after I wrote my book, Dear Birmingham. My one regret is that I did not get to know him better while he was still with us. I hope to make up for it however I can. A few years ago Javed and I were included in a heritage project ‘Four Fathers’ which had been set up by Faisal Hussain. Listening to the interview is a good start in getting to know something of the person Javed was. In addition, the following entry on Facebook, by Mukhtar Dar, who had brought us together also provides a glimpse into Javed’s life. It is with deep sadness that I heard of the passing of my dear friend and comrade Javed Iqbal. Javed had fought cancer over the last year and a half with the same fighting spirit that he had, throughout his life, fought injustice. He was courageous, dignified, compassionate and focused – this is why I will miss him and love him always. It was in 1981, on a coach, heading towards Leeds to demonstrate in support of the Bradford 12, that I first met Javed. We exchanged views, he was learned, thoughtful and incredibly humble – we had so much in common. We both came to England at the age of 11, with our mothers to join our fathers who worked in the steel smelting foundries of the northern cities – our political awaking in the 80s was forged out of the anti-racist struggles in the belly of the beast and we understood the need to connect and support the struggles of our peoples back home in Pakistan. Javed was born in Mirpur, Kashmir, he was a member of UK’s Militant Tendency and The Jadojehad group (The Struggle) in Pakistan; he returned to Pakistan in 85 and spent several years helping to build the movement. He was instrumental in forming the Labour Party Pakistan and worked closely with Dr Lal Khan’s Pakistan Trade Union Defence Campaign. As a Marxist socialist he worked tirelessly for the socialist transformation of Pakistan and supported the worldwide struggles of workers, peasants, women and the downtrodden oppressed peoples and minorities. I was fortunate along with my comrades to have worked with Javed as members of the Birmingham based South Asian Alliance. Javed’s easygoing chilled-out demeanour along with his welcoming smile made him the natural choice for hosting and chairing many of our events. Amongst the many of the events that he helped to organise and chair included the Faiz Ahmed Faiz Centenary symposium in 2011, the international conference on the 150th anniversary of the 1857 uprising, the 70th anniversary of Partition with international speakers, as well as many meetings with invited guest speakers from Pakistan, he was also the longstanding chairperson of the Asian Resource Centre. Javed engaged and brought together socialists from across the ideological divides, Trotskyites, Marxist Leninists, Maoists, liberals, believers and non believers, he was a humble organiser, a movement builder and not an egotistical limelight seeker, he brought us together when we fell out and knocked our heads together to focus on the bigger picture, he was fondly described by our women comrades as a gentleman and a feminist and to us all he was ‘Yaraan da Yaar’. Our deepest sympathies go out to Javed’s wife Miriam, his daughter, his family, his comrades and his friends – we salute you with Lal Salaam comrade Javed! This article by Lal Khan in Asian Marxist Review gives an insight into the political activism of Javed Iqbal. Here is the above article in Urdu. This post was written for Optimus Education and appears on their website. This was written for Optimus Education and appears on their website.